The Distek Model 2500 Dissolution Test System offers unmatched flexibility and configurability while maintaining the user-friendliness that laboratories around the world have come to expect from the preceding four generations of the 2100 series. The Evolution 4300 is the most technologically advanced, feature rich dissolution sampler currently on the market. Combining an intuitive user interface with state-of-the-art electronics used to control the proprietary syringe pumps, the Evolution 4300 offers unmatched functionality and flexibility. The Symphony 7100 Bathless Dissolution System is the most advanced dissolution design to date, bringing to market features never before available in a dissolution unit. 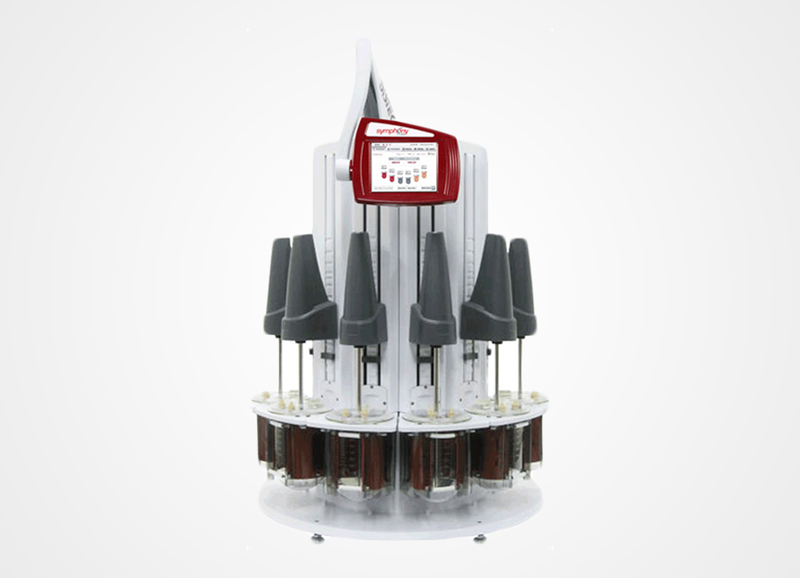 The ezfill 4500 is a compact and easy to use device for the rapid preparation of dissolution media. The minimal footprint permits its use in any dissolution laboratory, allowing even the smallest of laboratories to experience the benefits and productivity gains of quickly and accurately processing media. The VIP 4400 is the latest in unique products from Distek that addresses one of the most time consuming and least productive aspects of the dissolution test: bath clean-up. No more sampling! The Distek Opt-Diss 410 UV fiber optic system for dissolution testing measures directly in the vessel, eliminating problematic filters, tubing and pumps used in conventional sampling. Please download the PDF Brochure for Dissolution Kit and Accessories, please note, this is not a complete listing of Distek products, parts & accessories. If you don't see what you're looking for, give us a call. We'll be happy to assist you. Please download the PDF Brochure for Validation Tools, If you don't see what you're looking for, give us a call. We'll be happy to assist you.